CardRunners is one of the most successful online training sites in the industry thanks to a talented roster of coaches and the opportunity to earn access for free. The site offers a wealth of training videos encompassing just about every possible discipline of the game, with sweet spots for cash game players as well as single and multi-table tournament players. Videos are available for streaming in a web browser or for download. The site also features a built-in blogging system for coaches and subscribers in addition to heavily populated forums. CardRunners boasts one of the largest libraries of poker training videos in the industry, which encompasses just about every poker discipline and level. Facets of Card Runners such as the blogging system and forums are fantastic “Value Adds” that make the site one of the most popular in the industry. The core of CardRunners.com is its training videos, with new ones coming out daily, which is well ahead of the pace of most other training sites. 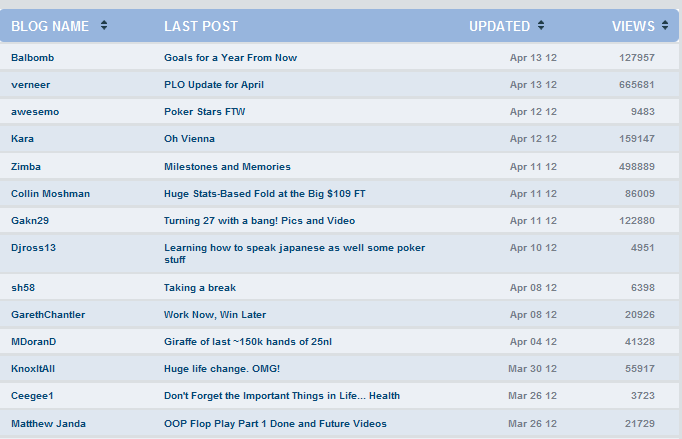 It should be noted that when StoxPoker collapsed, CardRunners inherited most of the video library. As it stands, there’s something for everyone, from micro-stakes cash game players to players at the nosebleed stakes. The roster of coaches is quite impressive, with names ranging from household poker names like Taylor “Green Plastic” Caby to online cult heroes like John “JimmyLegs” Wray and Eric “DamnRinger” Burtzlaff. You'll find the coaches producing videos to be qualified for their subject matter and able to articulate their points impressively. You can also catch Brian "Stinger" Hastings, Andreas "skjervøy" Torbergsen, Micky "mement_mori" Petersen, Tom "LearnedFromTV" Chambers, and Matt "jacksup" Matros making videos. The videos produced are of high quality. All instructors use solid video capture and microphone settings to ensure that students are getting a well-developed audio and visual experience. The videos can be watched inside of a web browser through a streaming flash option and also via a download to Windows Media Player. All videos have DRM-protection, so if you are not a member, you will not be able to watch them. The cost can be prohibitive, with a $100 sign-up fee and a monthly cost of $30, but overall, CardRunners has to be considered one of the best, if not the best, training site around. Great videos, great coaches, and a great team/community feel make for a top-notch poker training site.